The history of Mainline Menswear dates back to 2002, when a small shop was opened in the seaside town of Scarborough, North Yorkshire. The business started growing immediately, and the website was launched in 2004. Since then, we have moved to provide us with a large enough warehouse area to house our extensive range of stock. 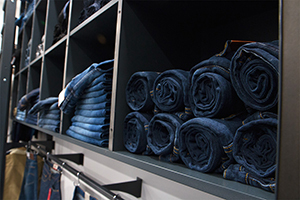 We offer one of the largest comprehensive ranges of men’s designer clothes in the UK. Fashions and trends for men of all ages, on any budget are available – through one of the best online shopping experiences around. 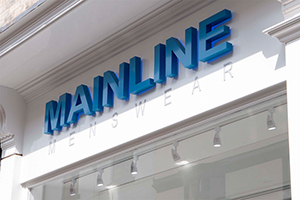 At Mainline Menswear we know how important it is to get your order right, and have it delivered on time. We focus on reliable fulfilment and strive to be the best in everything we do. This is why all our products are photographed, stored and shipped directly from site. Customer service is extremely important to us, alongside our passion and drive to provide designer menswear. Our brand is consistently reinforced by our customer base, something you can see for yourself in our glowing reviews. Our customer service team are all friendly, well-informed professionals, ready to help with anything you need. They are contactable by phone, email or through our live chat, and are here to help with any queries, from sizing issues to delivery methods. We are immensely proud of all the brands we work with, and stock over 80 different fashion labels, from designer to highstreet brands. 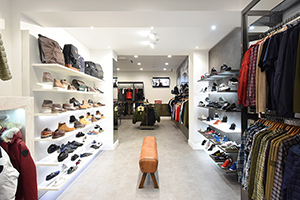 Some of our key brands include Hugo Boss, Adidas, Versace, Ralph Lauren and Armani. 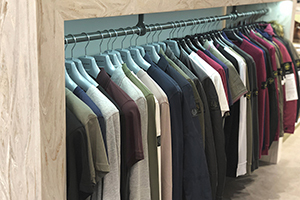 We constantly stay up to date with the current trends, and have new stock in regularly to ensure you can always look your best. Our behind the scenes process brings the whole company together. We have our own photography studio with the highest quality equipment, providing the intricate, detailed images you see online. Our warehouse staff hand-package every item, ensuring that it reaches you in perfect condition. We respect that every part of the business plays its part in completing the invaluable shopping experience we provide. 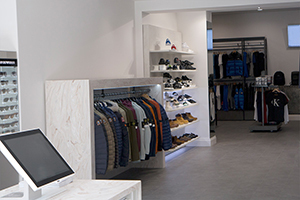 To find out more about Mainline Menswear, or send us a message about your purchases or queries you can find us on Facebook, Instagram, Twitter and Snapchat. 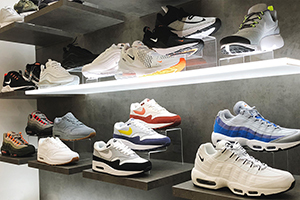 We also run a blog alongside our main site, which is updated weekly with all the leading fashion trends and insider information about specific brands.